Messed up switch wiring on Snap ON ACD 5120H compressor. 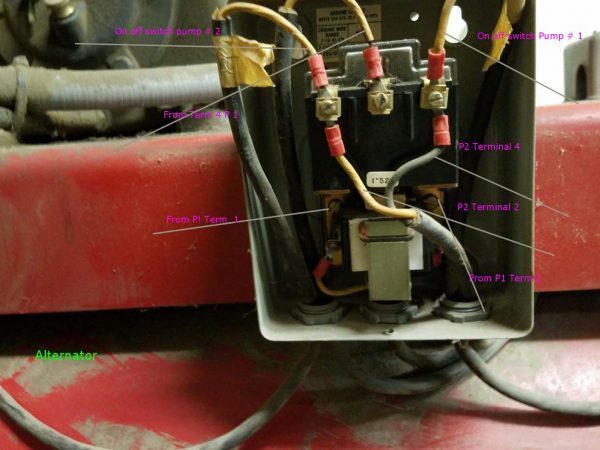 You are here: Home / Messed up switch wiring on Snap On ACD 5120H compressor. 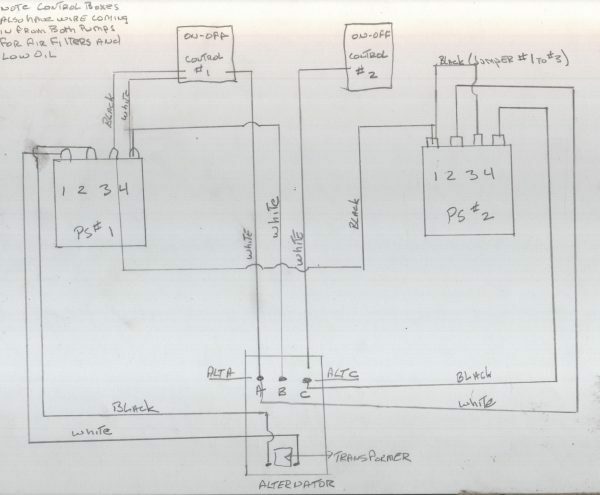 I have an ACD 5120H SnapON compressor I had to replace one of the pressure switches and I messed up the wiring and need to find a diagram so I put it back right. Pumps do not alternate and when I turn on pump 1 it will run until I shut it off, number 2 pump works as it should and shuts off at 175psi. 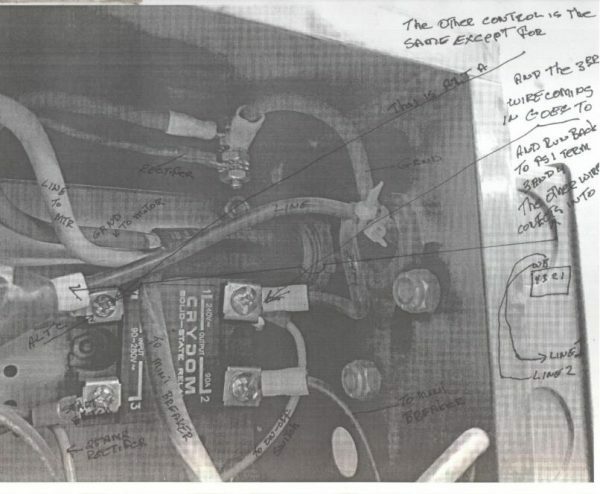 Are you sure it’s wiring and not the #1 pressure switch maladjusted or incorrect? How high did you allow #1 to get before you shut it off? I let #1 get to 200 before I shut it off. Fairly certain it is the wiring. 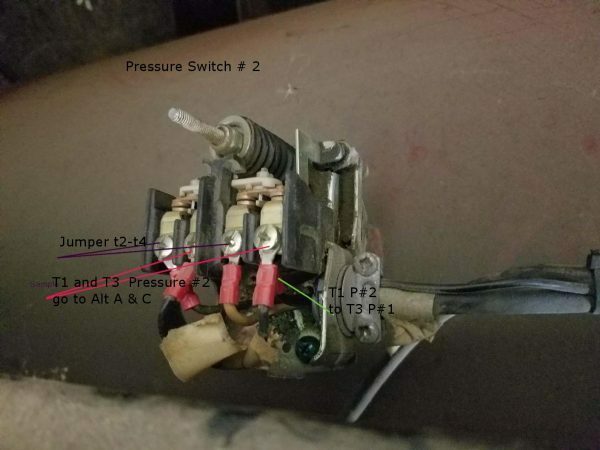 When I replaced the pressure switch I did not draw a diagram of the wiring nor did I take a picture so I did not get them back in the right spot. It was a case of trial and error until I could get number 1 to run and only then by manually turning it on. Each pressure switch has 4 terminals. Number 2 switch has 3 wires to it one of which goes back to number 1 switch. Number one switch has 6 wires in it. Each switch has one wire that run back to alternator. Balance of wires run to the separate control panels for each pump. OK, wiring it is. Probably. I can’t find a drawing of this thing either. Still, they aren’t all that complicated. 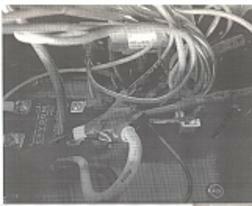 Can You get some clear pix, and indicate where any out-of-frame wires go? I think we can figure this out. Use the camera icon next to the paper clip at the lower left of the white area when you reply . Hope you can make sense of this. If not I will draw and scan a schematic of how it is currently wired. Mike – yes, drawing please. Easier for you to trace, I think. You replaced PS1? Those were the only wires disconnected? Rough schematic but here it is. As noted on the drawing the controllers also have additional functions. Each controller has it own reset (breaker), on-off switch and start button. In a perfect world you would push both resets in, turn on switches and press both control buttons and the pumps would operate independently of each other unless the demand was too great then both would run at same time. Hmm. Is there a label on the alt? Is it a Furnas or Hubbell 47AB10xx or? Where does the power source connect? Is there not another wire at control#2? ps#2 pic and drawing conflict – which is correct? Sorry for all the Q’s, but we want to get this right, right? It is a Furnas 47AB1 0B. There are separate 220 power supplies into each control from sub panel. There is no other wire at control 2. Diagram is correct picture not. Yes it did alt and duplex originally, only quit after I changed out PS 1. No problem with the questions it needs to be right the first time. “There are separate 220 power supplies into each control from sub panel.” OK, but where do they connect – I presume those go to starter relays/contactors. 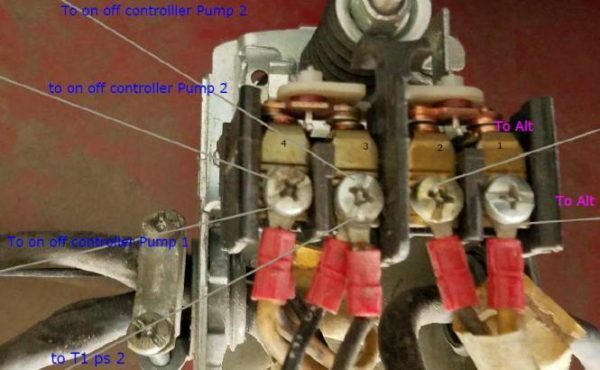 Where does the power for the alternator/pressure switches connect? If all the power is connected in the control box(es) where does it first appear in the alt/ps circuit? I’ll guess one leg must be from the #2 box, where is the other leg of power or ground? I see that alt has a 120V coil. Will take picture of inside of control. Mike, I’m sorry. I didn’t get notification you’d posted. Anyway, this is really hard to read – any chance of getting it in color? Is pic 2 a different view of the same panel? If there’s any notation on it, I can’t see it. 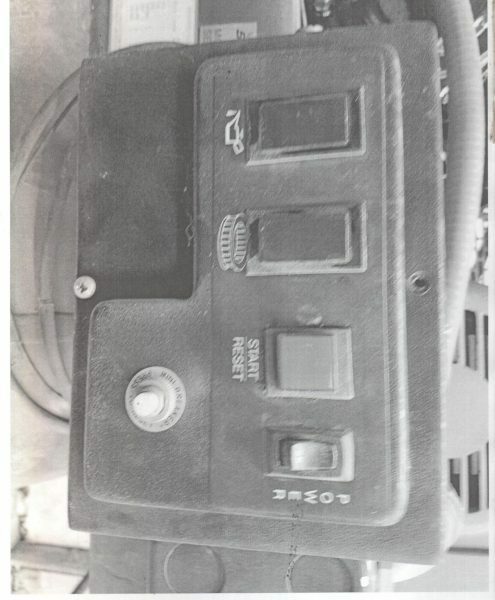 And pic 3, I presume, is representative of either control panel?